The Bellevue Mer surprised by its geographical location and unique, beautiful panoramic sea views, visits, his welcome, its friendliness and its calm haven, services and prices. 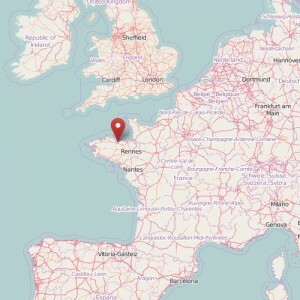 Ideally located for visiting the North and Brittany center, midway between Mont St Michel and the Pink Granite coast and halfway between the forests of Huelgoat and Paimpont. 50 m from the sea, punctuated by tides, overlooking the bay of Saint-Brieuc, at the tip of the peninsula, in a protected natural site (guided tour of the bird sanctuary by the House of the Bay located 2 km). in front overlooking the city of Saint-Brieuc, agglomeration of 120 000 inhabitants, Prefecture of Côtes d’Armor in Brittany. A natural and exceptional painting scroll throughout the day with the tides, the sun and sky, adorned by the vision off molds piles, boats, fishermen walk, walkers and horses in the bay … And often the day will end with a beautiful sunset. Judiciously positioned, the Bellevuemer will let very many walks and visits: castles, medieval towns, cliffs, beaches, coves, rugged coastline, small fishing ports, islands, resorts, local markets and of course make knowledge. (July and August: weekly permanence of the Tourist Office in the morning at the campsite). 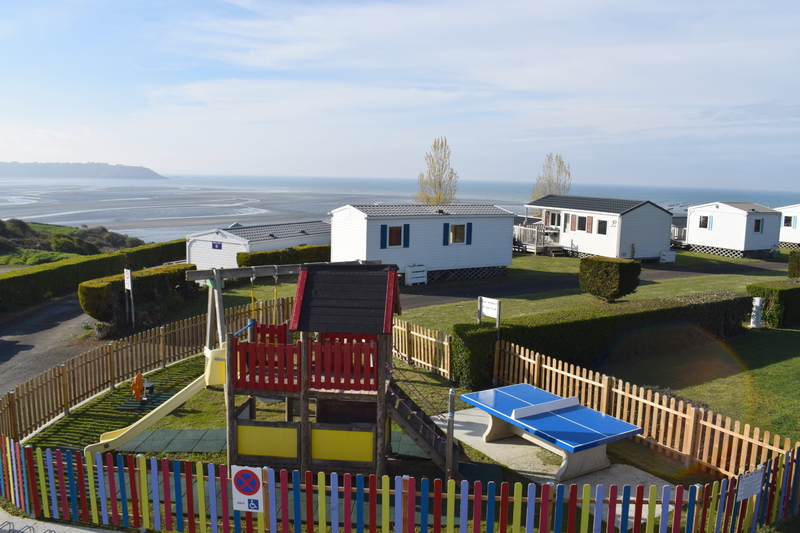 With its recent indoor pool in 2015, Camping Bellevue Mer *** is really a safe bet for hotel outdoor Côtes d’Armor and Brittany. Fifty locations only keeps the spirit of old camping with the comforts of today, human contact or premium. With you, we will choose, depending on availability, location best suited for your stay with us. Only 50 meters from the famous GR34 (coastal path that runs along the whole of Brittany) we make the joy of hikers, and in the path of the greenway (260 km on the EV4) the two wheels can take a break. Tents, caravans and motorhomes are all welcome, recent health are standards BBC (accessible PMR). We also have a dozen mobile homes (one for PRM) with their terrace with sea view we rent for a short break or week. This type of holiday mix form an interesting alchemy for trade. To the delight of young and old, you will discover its heated indoor pool with its paddling pool fun. Open from 1 April to 30 September (including camping) snack bar, sea view, offers, among others, its bay mussel specialty (local production). In the morning, you can have bread, pastries and the local newspaper (free wifi). Important: The restaurant bar is open to local, reinforcing exchanges. For shopping lovers, we are only ten minutes from major retailers (Saint-Brieuc and its suburbs). If you choose camping Bellevuemer ***, enjoy the quiet of a small structure, its consistent and reasonable rates for all its benefits, and its high usability in our eyes.